The following is a neat little trick to make some cash for free. The following trick only works if you are travelling abroad for work and have the ability to expense your everyday subsistence. The first step in this trick to make sure that you don't buy your foreign currency for your work trip until you arrive at the airport for your outbound flight. Once you reach the departure lounge, or just before security make sure that you seek out a currency exchange. The key is to find a currency exchange that allows you to get a buyback guarantee. This allows you to sell any excess foreign currency at the end of the trip for the same price that you bought it at. There is normally a maximum of £500 excess currency that you can exchange. Examples of places that definitely provide a buyback option are Travelex and Ace. In our example let us assume that you buy dollars. Let us say that the actual market rate should be $1.5:£1. The actual rate offered by the foreign exchange desk that offered the buyback will be significantly lower e.g at $1.2:£1. So £500 will get you $600. Once you have your buyback then go off and have a productive work trip. Try to ensure that you spend nearly all the foreign currency that you have. Make sure that you can legitimately expense it all with your employer. Remember to keep your buyback safely with you at all times! It's valuable! Once you've landed, do not go to the foreign exchange desk in the baggage claim area. This is for the mugs. Instead pick your bag and head home for a rest. The following day, during your lunch break and before you've put your expenses through go and find another foreign exchange desk. Try the local banks or supermarkets if you can't find a travel agent. Check the rate to buy dollars. If it is a travel agent that doesn't offer buybacks then the rate will normally be a lot better e.g $1.4:£1. Make sure you top up your remaining dollars after your trip to roughly the £500 equivalent mark of your original purchase I.e you don't want any more than $600. Let's say that you had no dollars left after your trip so you spend £428 to buy the full $600. The next stage is to pop along to the original provider of the foreign exchange and remember to bring your buyback. As you've got a buyback you will be able to exchange up to $600 at a rate of $1.2:£1. You hand over your $600 and will receive £500 in return. Remember that it only cost you £428 for these dollars and so you've just netted a cool £72 profit with virtually no work. That's how you make £72 for free. Remember, the buyback is precious. One note of caution, the buyback trick explained above only works because you are able to fully expense your original £500 at a poor exchange rate. This isn't beneficial to you if you have to spend your own money. You're better off getting a better rate on for your dollars to begin with. Get out there and make some money. Do you like what you've read? Tell your friends by sharing it with one of the buttons below. Please post this to Facebook or Tweet it to help your friends and family. 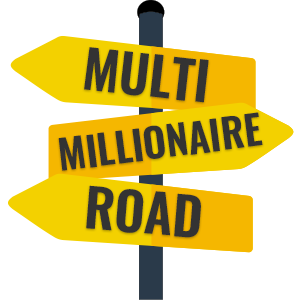 Feel free to send me an email (mrmoneybanks@multimillionaireroad.com), find me on twitter @millionairer0ad or comment. Whether good or bad, I want to hear from you all.